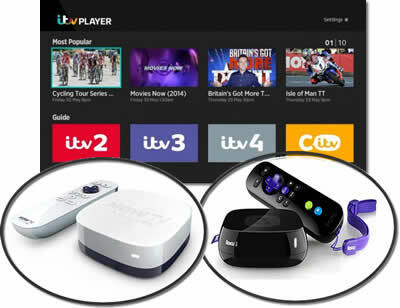 Looking to offer their online viewers the option of sidetracking the mandatory advert pop-ups, UK terrestrial broadcaster ITV are offering an ad-free version of their catch-up streaming service ‘ITV Player’, though not without an obvious cost. ‘ITV Player Premium’, which has already launched as an option on desktop, will now be available to use on iOS mobile device, namely the iPhone, iPad, and iPod Touch. In doing this, ITV will also become the first ‘commercial broadcaster’ in the UK to provide a commercial-free viewing experience on mobile devices (although public service broadcasters BBC have long been offering ad-free content on mobile through the iPlayer service on iOS and Android). The premium service, as with the regular app version, offers viewers a chance to catch up on all recent content from the broadcaster’s 5 TV channels (ITV, ITV2, ITV3, ITV4 and CITV), with the difference of not being interrupted by commercials, while also providing live simulcasts of ITV3 & ITV4 through a WiFi or 3G connection, with ITV expecting in return from the consumer a sum of £3.99 per month. However, the addition of ‘premium’ service will not remove the original from circulation, with the ‘ad-supported’ free version of the ITV Player ‘mobile’ edition remaining with commercial-based catch-up and live simulcasts of ITV & ITV2 (which will also be offered to paying customers). Current ITV Player users will first be offered the opportunity to sign-up for the ‘premium’ upgrade when they next update their original version of the app, and will presumably remain as a permanent advertisement on the app for its non-paying audience. The BBC and Samsung have announced the launch of the ITV Player app giving seven days catch-up TV to Samsung Smart TV and Blu-ray owners right now. The quick move means ITV have beaten rival UK network, the BBC in launching a TV app in Samsung’s Smart TV store. 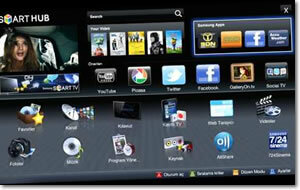 The app can run on 2011 and 2012 Smart TV and connected Blu-ray models which let viewers watch TV as well as access a range of web content such as YouTube, Facebook and Twitter apps. But a big attraction is the availability of catch-up TV services as well. The ITV Player app is available for download now in the Samsung Smart TV store right now.